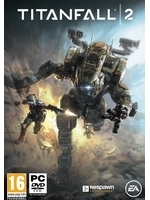 After releasing their first game "exclusively" on Xbox One, Xbox 360 and PC, Respawn Entertainment are back with Titanfall 2, which is this time available on all systems, PS4 included. The studio also added a campaign mode to the game, which we are now presenting you on PC, all graphics options maxed out, at 1440p (and with 5.1 sound if you are willing to download the files). Because we wouldn't want some of the PC gamers here to whine as usual, the videos were captured by Miguel with a mouse and keyboard. Update: Added 3 more videos. 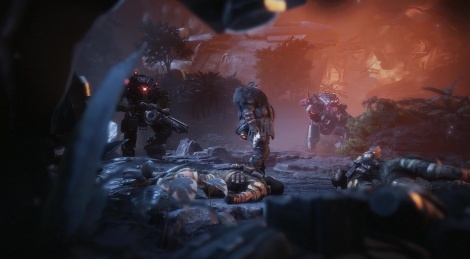 For Titanfall 2 all future DLC gamemodes and maps will be available for everybody that bought the game without extra charge, there's only a Deluxe edition that adds mainly skins etc.. See EA, you know how to do it properly to creat a better online gaming experience for us gamers.. Now change this with games like Battlefront and Battlefield as well please, no more annoying community splitting DLC!! I don't mind paying for maps if I get more maps of a higher quality. Let's see if TitanFall gets 20+ Battlefield-sized pieces of DLC. I bet it doesn't. "Free support" is great but it's not actually free, nor is it usually great. Just look at games that already do this. Content is slow to appear and unless the game is super successful or has another revenue stream, it will be light on content in general. And "community splitting" isn't really that big a deal if you have a large enough community. Plenty of things split the community. Multiple game modes/types split the community. That's not inherently bad.